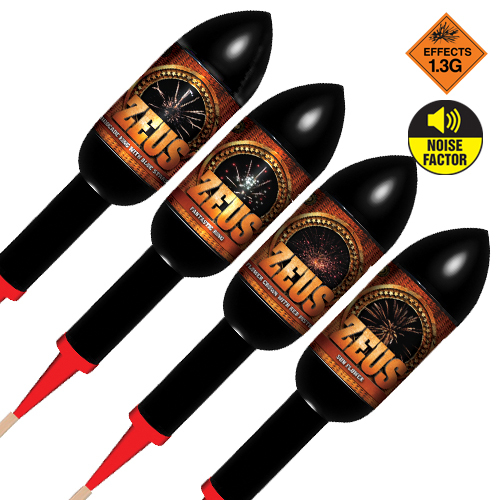 The Zeus Rocket 4 Pack will reign supreme! Worthy of their name as ZEUS king of the gods. 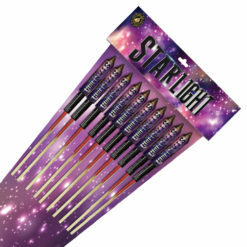 With astronomical rocket performance and premium quality. 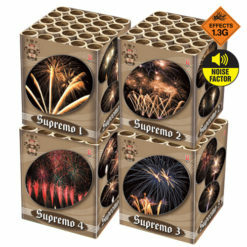 Creating a truly spectacular sky filling night display. Offering some unusual and unique effects in the shape of sunflower, fantastic ring. Along with classic flower crown with red pistil and brocade crown with king blue stars. 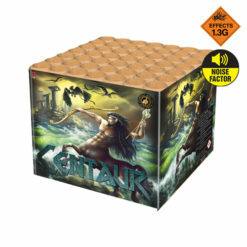 Like the Zeus Rocket 4 Pack. 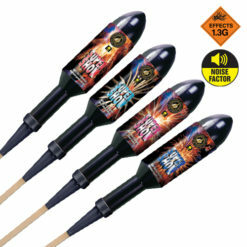 Then take a look at our full range of rockets available.